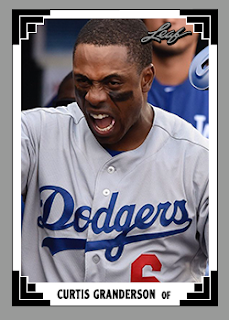 Dodgers Blue Heaven: Welcome to the Blue, Curtis Granderson! Granderson, 36, has a .254 career batting average with 312 home runs and 853 RBI in 1,760 games in 14 Major League seasons with the Tigers (2004-09), Yankees (2010-13) and Mets (2014-17). The three-time All-Star (2009, ’11, ’12) and 2011 Silver Slugger also won the 2016 Roberto Clemente Award for his community work. 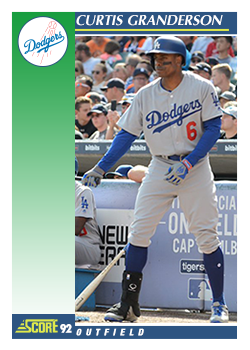 Defensively, Granderson has appeared 1,246 games in center field, 445 games in right field and 59 games in left field during the course of his career. He’s also played in 51 postseason games, tied for the 14th most among active players. "(Pederson) being optioned gives him an opportunity to reset," Dodgers manager Dave Roberts said before Saturday's game. "I have no doubt that Joc is gonna come back here and help us win a lot of baseball games -- obviously get to our ultimate goal, and that's to win a championship. He has destroyed opposing pitching to the tune of a .273/.395/.596 slash in his last 250 trips to the plate. It doesn’t hurt that he’s still capable of manning center field, giving an alternative to Pederson. It’s worth noting that, like Pederson, the new addition has been far more effective this year (and over his career) when hitting with the platoon advantage. The Dodgers will surely continue to mix and match heavily. Best of all, Curtis understands the importance of being Blue. Per his twitter.